Does a Neurosurgeon Make Much Money? What Is the Annual Income for a Neurosurgeon? A neurosurgeon is a medical specialist who treats diseases and conditions affecting the nervous system, which includes the brain, spine, spinal cord, and peripheral nerves. In the medical field, the neurosurgeon is one of the highest paid and most specialized of doctors. Neurosurgery often attracts some of the best and the brightest in the medical field due to the extremely challenging and dynamic nature of the work. If you are interested in becoming a doctor specializing in neurological surgery, you have a long road ahead. Neurosurgeons are among the highest paid physicians and surgeons due to the demanding nature of the work, and the extensive additional education and training required to become a neurosurgeon. According to salary.com in 2018, the median income for neurosurgeons is $579,000, with a range usually between $436,000 to $733,000, however, this can vary widely depending on a variety of factors. The top 90th percentile can make from $873,000 on up. Neurosurgeons provide non-operative and surgical care to patients of all ages. Pediatric neurosurgeons treat infants and children. Usually, neurosurgeons perform more spine than brain surgeries, although treatment for head trauma or removal of cancerous or benign brain tumors remains a common need. Other neurosurgeons may specialize in spinal cord injury or problems of the cervical spine, which is the neck region, and the lumbar spine, which is the lower back region. New advancements and techniques are being developed to help neurosurgeons treat a number of neurological issues that can be repaired via surgery. To become a neurosurgeon, you must first complete the basic requirements of becoming a doctor, which involves a bachelor's degree, preferably in pre-med or other related biological, physical, or chemical science, plus four years of graduate school in an accredited medical school to obtain a doctor of medicine or doctor of osteopathic medicine degree. After completing medical school and successfully obtaining a medical degree, medical school graduates must then gain acceptance into a neurosurgery residency training program. There are more than 100 accredited neurosurgery residency training programs in the U.S. The average length of a residency is seven years, with a few programs at six years and many requiring eight years of training. Due to the length of the training program, most programs only accept one to three residents each year. Once a neurosurgeon is practicing, she must maintain her skills and constantly learn the latest techniques. This includes entirely new technologies. If you are interested in this field, you will continue to study and learn throughout your career. Should You Pursue a Career as a Neurosurgeon? If you thrive in an extremely high-pressure environment and can endure the additional years of rigorous training, then neurosurgery may be right for you. Neurosurgeons must be available at all hours, usually as part of a call rotation schedule at an affiliated hospital to perform emergency surgeries. Neurosurgeons must have excellent critical thinking and analytical abilities, plus top surgical skills, optimal dexterity, and be able to perform delicate surgeries. 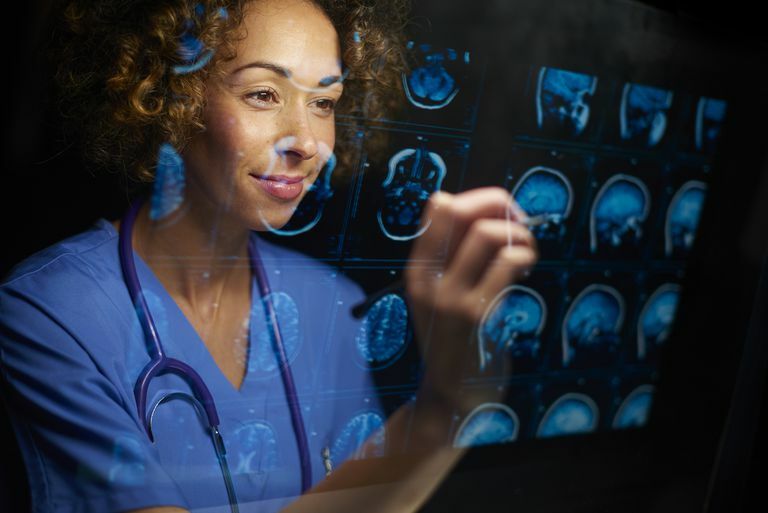 Neurosurgeons use the latest innovations such as robotic surgery, enhanced imaging equipment, and cameras that can assist with the precision of the procedures. Neurosurgeons continually refresh their training to remain up-to-date on the most advanced, complex technology. Neurosurgery can be a high-pressure and high-stress field, which requires an individual who can remain level-headed and calm under extreme pressure. The intrinsic reward of performing advanced, life-saving surgery is another benefit.